Mr Nnadi graduated from the college of Medicine in Lagos and trained in Orthopaedic Surgery on the Wessex Rotation, UK. In 2006, he was awarded FRCS (Orth) and appointed as a Consultant Orthopaedic Spine Surgeon at the Oxford University Hospitals NHS Trust in 2008. 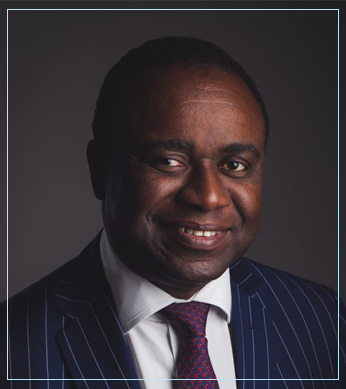 Following training at the Royal National Orthopaedic Hospital, London and the Norfolk & Norwich University Teaching Hospital, he undertook a Spine fellowship, and was locum Consultant Spine Surgeon at the Queens Medical Centre, Nottingham. He is presently a Consultant Spine Surgeon at Nuffield Health, The Manor Hospital, Oxford. Mr Nnadi provides treatments for all spinal problems and has a special interest in spinal deformities in children and adults. His interest in spinal deformities has lead him to become a chief investigator for the UK multi-centre Magec rods trial dealing with Early Onset Scoliosis, and a member of the Scoliosis Research Society and British Scoliosis Society. He is also the lead surgeon for the Spine Tango database, an international spine registry. Paediatric deformity, adult deformity, degenerative spine, infection/tumours. Sailing, tennis, football, current affairs. Mr Nnadi has published papers on paediatric and adult spinal deformity in peer reviewed journals and written chapters in textbooks.